Busy today getting things around for a delivery tomorrow to my friends at the Kada Gallery in Erie. 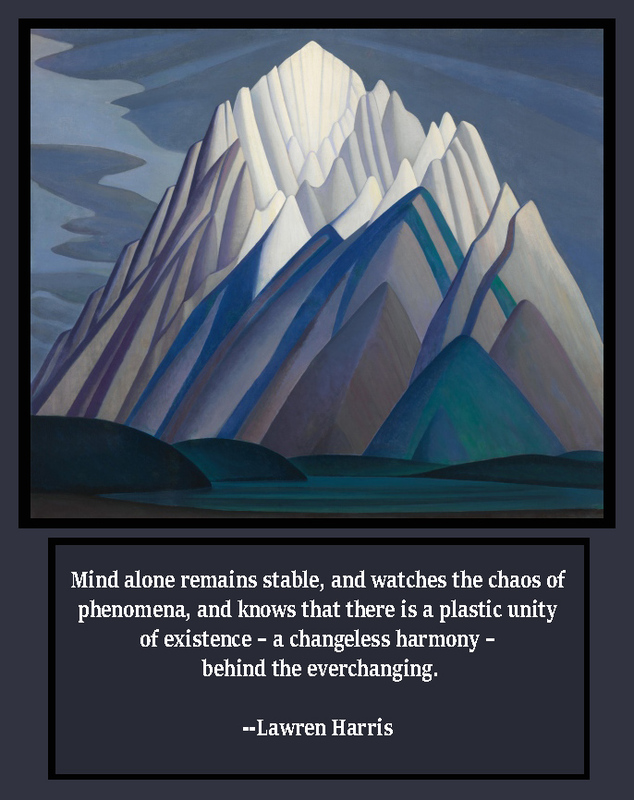 But there’s always enough time to consider a Lawren Harris painting along with a few of his words. He’s right. Art is long. Life is short. He mentions art in the form of a picture but I believe any true artistic creation can become that highway to a universal feeling, one that lives on eternally in a location somewhere beyond all we know. Hmm. Think about that, will you? I got work to do and will think about it as I work. In these crazy times, there is some comfort to be found in art. 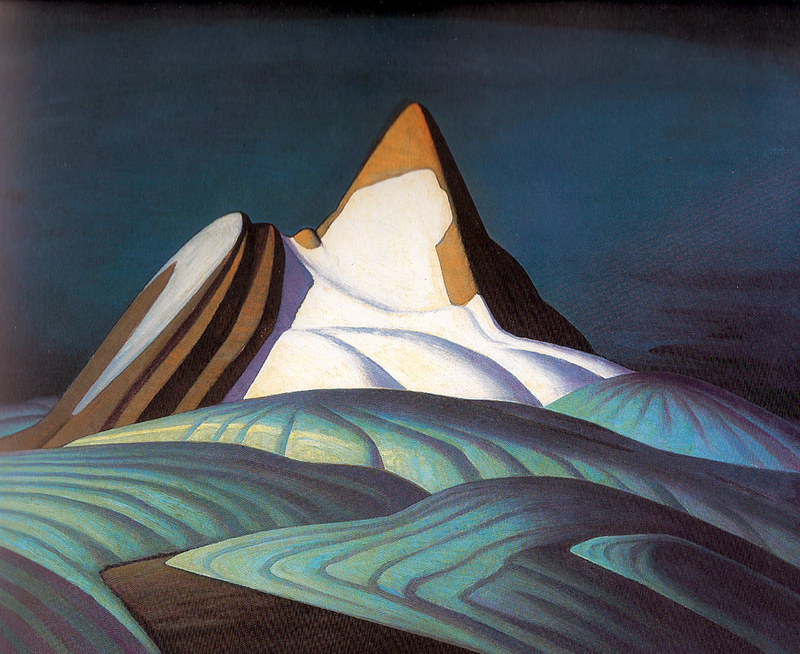 For me, the paintings of Lawren Harris always fill the bill. His work definitely represents a quality of spiritual harmony, that thing, that force, that universal mind that remains stable even as the world drastically seemingly changes before our eyes. 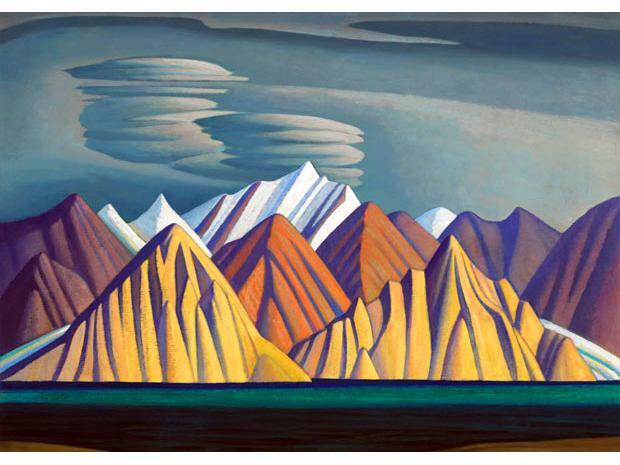 So, this morning I am taking a few moments and taking in his 1926 painting, Mountain Forms, shown above. Do not try to do extraordinary things but do ordinary things with intensity. 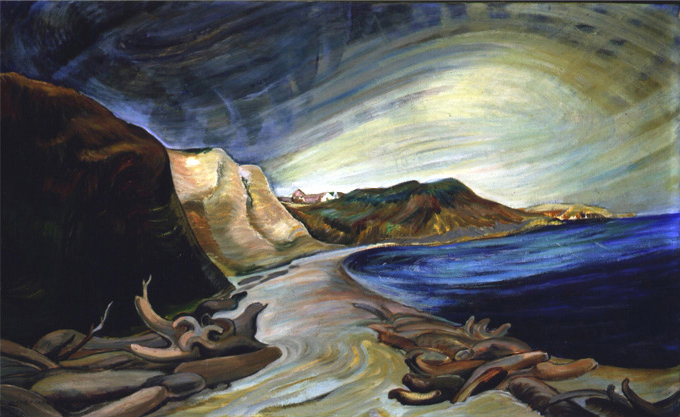 Emily Carr was one of the first artists that came to mind when I saw the question last week that asked if you name five female artists. She is most likely off many of your radars but I am sure some of my friends to the north in Canada recognize her name very well. 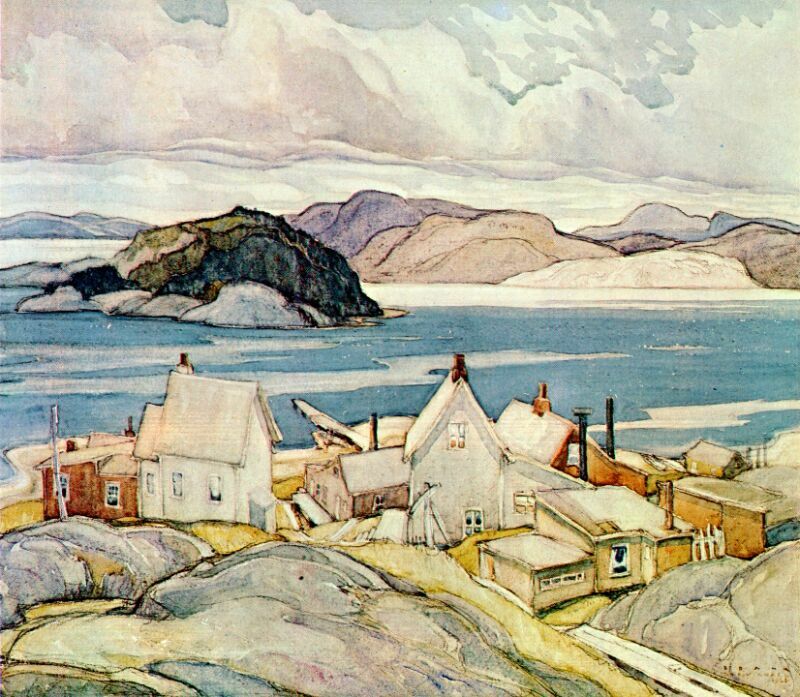 Carr was born in 1871 and died in 1945 in Victoria in British Columbia. Aspiring to be an artist, she was trained in the tradition of classical painting methods early in her life. But the first decade of the 20th century saw her work take a radical turn. After a period of time in Paris, influenced there by the Fauvist and Post-Impressionist with which she met and painted, her work took on bolder colors and more expressive brushwork. 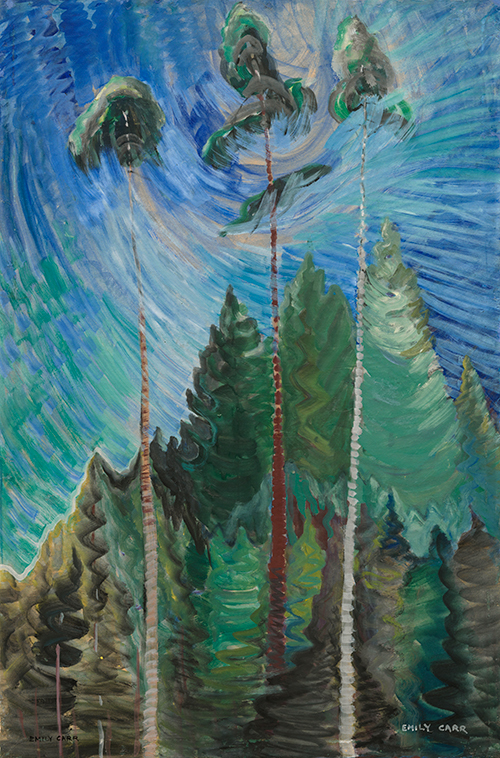 She took this new found energy back to Canada where she opened a gallery in Vancouver in 1912. The gallery faltered as she failed to see the response that she had hoped for. Dejected, she basically put down her brushes for the next 15 years, doing little painting. 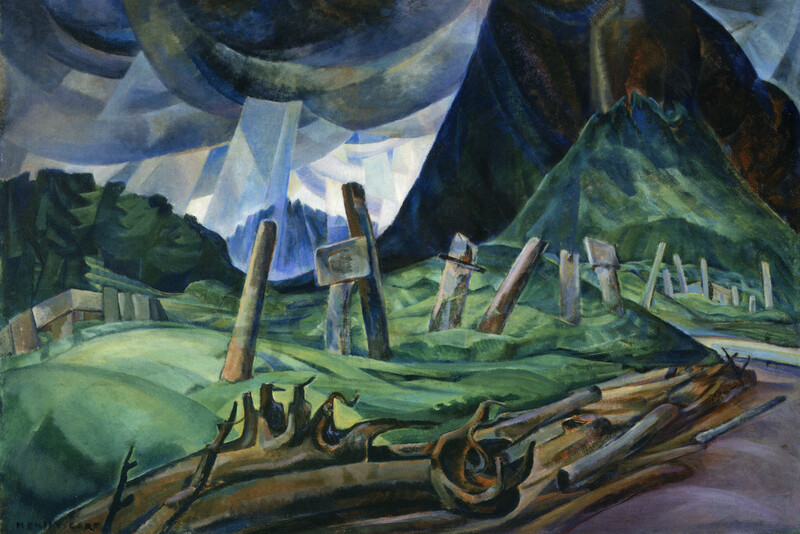 However, some influential people were aware of her work, especially paintings she had executed with the native tribes of Canada as her subjects, and in 1927 she was invited to show a group of work in an exhibit about the tribes of the West Coast at Canada’s National Gallery in Toronto. 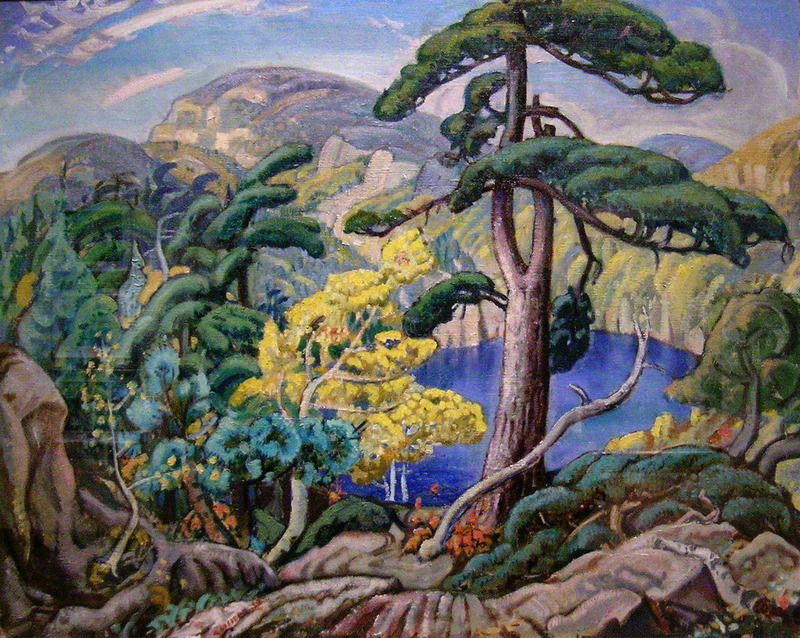 It was here that she met Lawren Harris and other painters who made up the fabled Group of Seven, which were several great Canadian painters of the time who had distinct modernist styles. 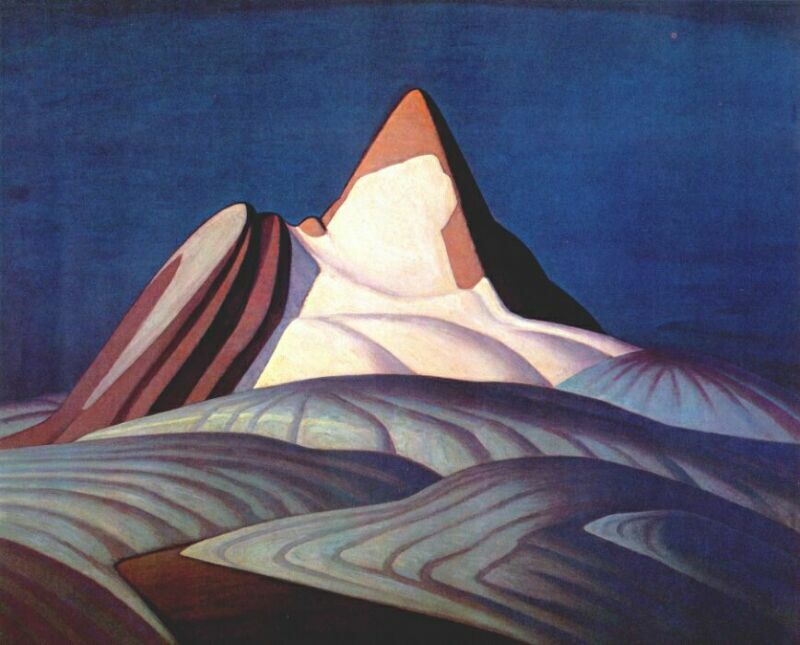 I have featured the brilliant work of Lawren Harris here several times. Encouraged by Harris, who proclaimed her as one of that group, Carr was rejuvenated and for the remainder of her life worked with great vigor, trying to capture the spiritual essence of her native homeland. Like Maudie Lewis, Carr is a Canadian national treasure. I am enchanted by much of her work and the spirit that is imbued within it. This has been a very cursory look at her life with just the highlights and a few images and a video. Please do some research on your own. It’s well worth the time. In the inner place where true artists create there exists a pure child. I was planning on throwing up a quick post with a video of some of the paintings from another favorite of mine this morning. Quick. Easy. Done and I’m on my way to the rest of my day. 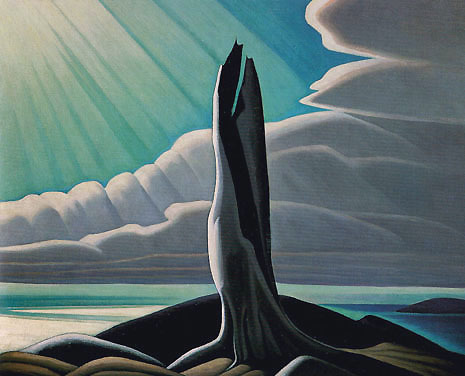 The problem is that once I start looking at the paintings of Lawren Harris time just evaporates for me. I find myself just staring at so many different pieces, taking in their colors, their harmonies, their stillnesses, and their sheer beauty, that time floats away. I find myself enthralled by his work maybe more than any artist I’ve encountered. The video below is a group of his work set to a Barhms sonata. A few of the images are a bit fuzzy but it’s a pretty well done video and gives a good idea of the full range of Harris’ work. So while this post is short today be advised that it is one that might take up some of your time. It took a bunch of mine this morning! But that’s not a complaint. It was my pleasure. Art is the distillate of life, the winnowed result of the experience of a people, the record of the joyous adventure of the creative spirit in us toward a higher world; a world in which all ideas, thoughts, and forms are pure and beautiful and completely clear, the world Plato held to be perfect and eternal. All works that have in them an element of joy are records of this adventure. 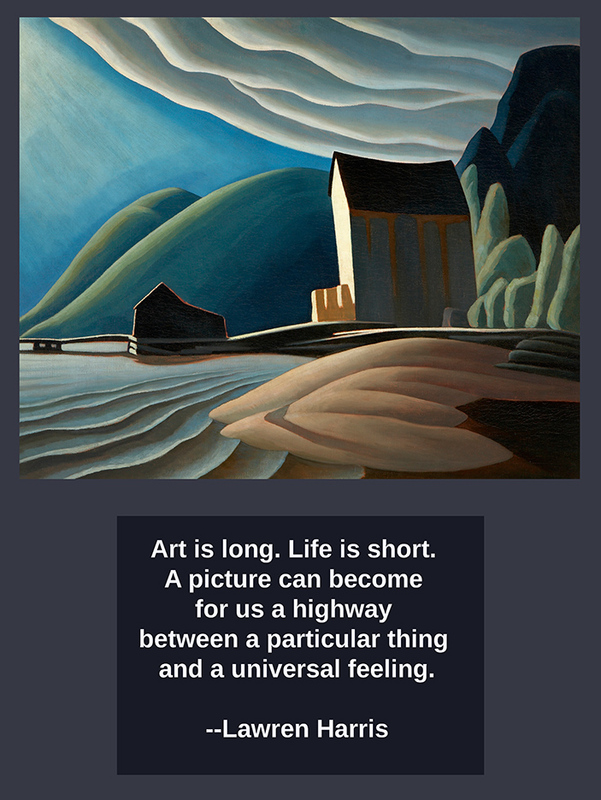 I love this quote from the great painter (please note that I didn’t preface it with Canadian) Lawren Harris. I know that whenever I am working and am excited with the joy of what is unfolding before me, I feel closer and more connected to some sort of power that is beyond my knowledge. It’s as though I feel tapped in to that winnowed result of the experience of a people as Harris puts it. That is a great feeling, exhilarating and calming at the same time. It is ultimately the feeling that brings one to art, both as a viewer and a creator. Unfortunately, in the course of creating, it is sometimes a feeling that is forgotten, put aside for ends other than this element of joy. It’s easy to do, believe me. But rediscovering that joy is like coming across it for the first time. Even though you know you have experienced it before, it feels all new and shiny, full of promise. Effervescent– that is the word that comes to mind when I think of these moments of joy. So, let me stop right here. I am close to my own joy and don’t want to delay it for another minute. Effervescence will not wait around too long, you know. Hope you find some of your own today. 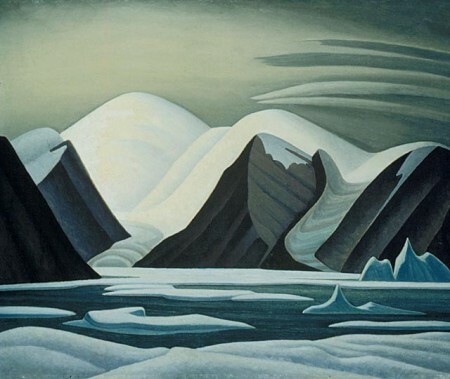 I received a copy of the new catalog for the Lawren Harris show that is currently showing at the Hammer Museum in Los Angeles before moving to the Museum of Fine Arts in Boston in the spring of 2016. 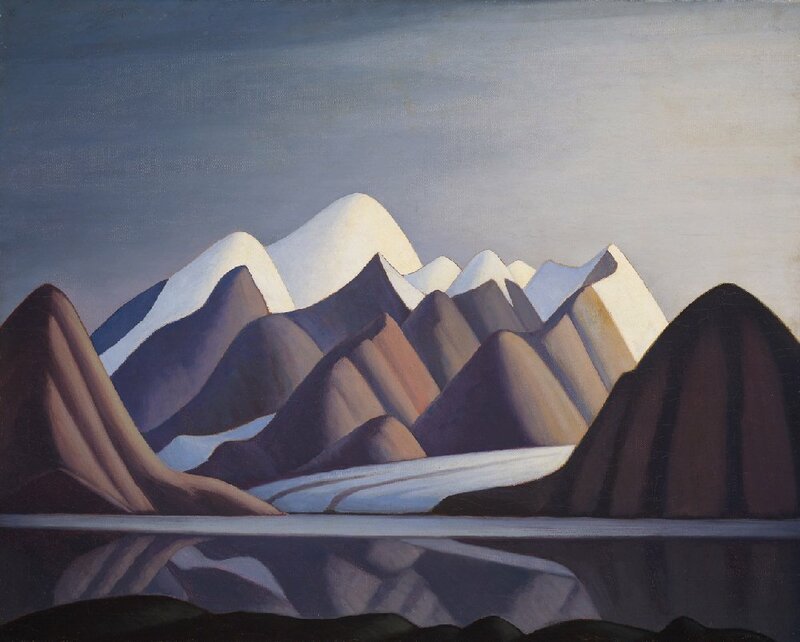 The show, curated by comedian/actor/ avid art collector Steve Martin , is the first major show in the US for the Canadian artist, who passed away in 1970 at the age of 85. It’s a fabulous looking show if the catalog serves as any kind of indicator. I’ve written a couple of times about his paintings and my consternation that they were somehow not known to us south of the Canadian border. In his intro Martin writes very much the same thing. 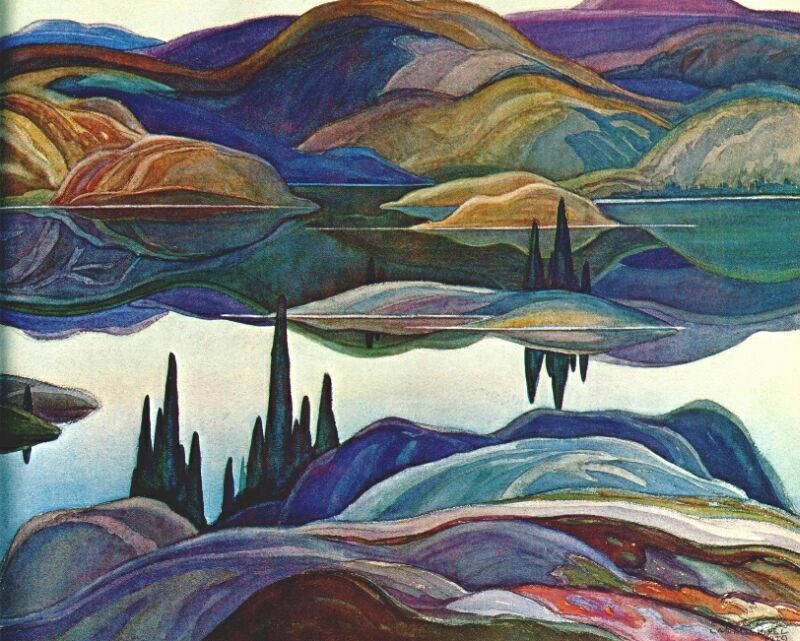 We have embraced so many Canadians as our own in many other fields– Neil Young, Joni Mitchell, Jim Carrey, and so many others that it would difficult to list them all– yet for some reason we have either not embraced Canadian painters or Canada has not been willing to share them with us. I guess I could understand the latter. After giving us so many musicians, comedians and actors without so much as a thank you note from their neighbors to the south, they might want to keep something that they can call their very own. Something that speaks of its Canadian identity, its roots and sensibility. But that may be coming to an end. You see, great painting, regardless of its origin and subject, transcends boundaries and speaks in a universal tongue. And the Canadian painters I show here do that. We may have been shielded from them for a hundred years or so but once they trickle through it will soon be a torrent. And I’m only talking about a group of painters from the early 20th century. Who knows what treasures are waiting to be discovered in that land to our north? Maybe we will see them if we just show them a small bit of appreciation. Let me be the first to say “Thank You” for sharing your richness with us. There seems to a big void in my collected knowledge, which is not too large to begin with, when it comes to artists form our neighbor to the north, Canada. I’ve written about David Blackwood, the master printmaker whose work documents the world of the Canadian maritimes, on this blog a couple of times but beyond that, I come up short when thinking about Canadian painters. Based on what I know about other Canadian artists in other fields such as music, acting and writing, I figured there had to be a wealth of great painters waiting to reveal their work to me. I wasn’t disappointed. This all came about because I had a comment the other day comparing my brushwork to a Canadian painter who I was not familiar with in the least, Tom Thomson. I am saving his story for another day because it is a big story with twists and mystery. 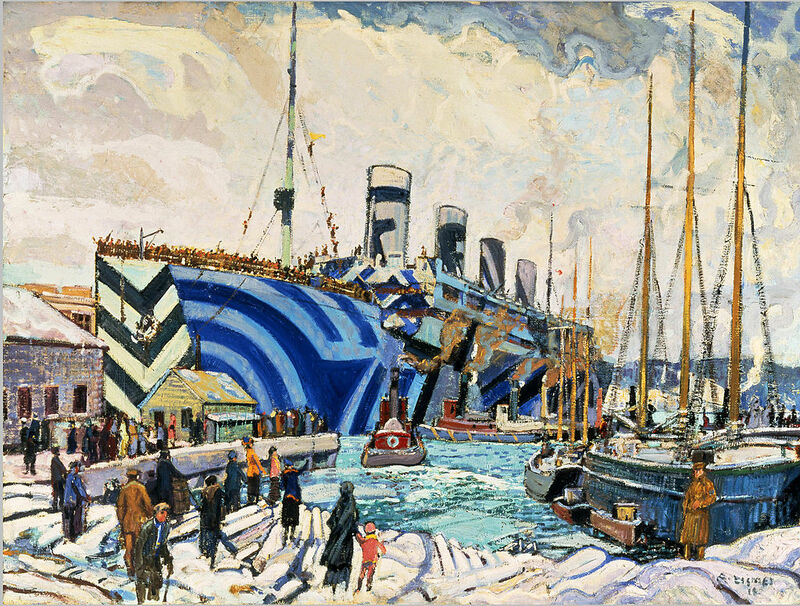 But Thomson is considered one of the pillars of Canadian painting along with the artist whose work I am showing today, Lawren Harris. While doing a search for Thomson, I stumbled across a mention of Harris and followed the link. The images of his work jumped out at me. Strong, simple images of the Canadian landscape with beautiful color and form with a sense of abstraction that I found irresistible. The Google Image page with Harris’ paintings just glows. 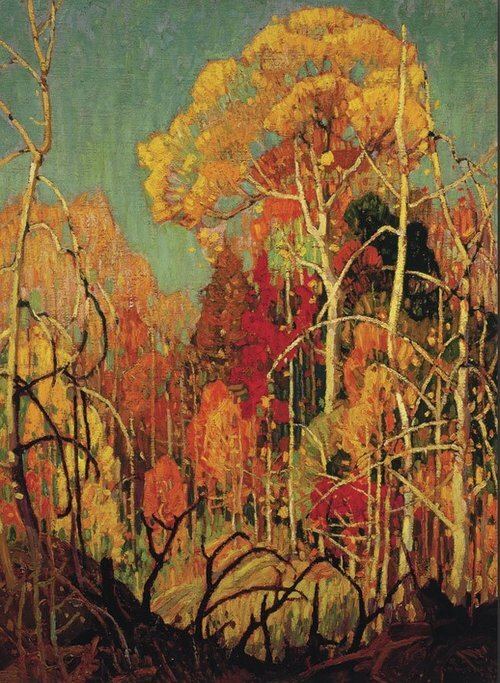 How had I not heard of this guy or Thomson or any other Canadian painters? 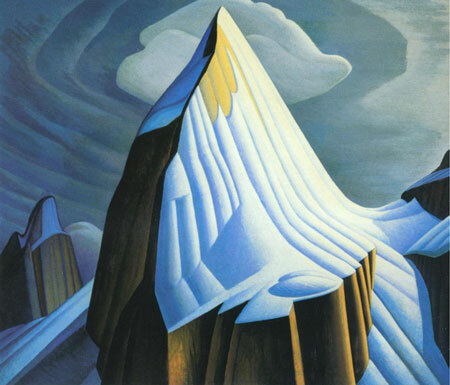 Lawren Harris was born into a relatively wealthy life in 1885 in Brantford, Ontario, his family part of the Massey-Harris company that made farm and construction equipment. After attending college in Toronto, he headed to Berlin in the early years of the 20th century where he painted and started his involvement with Eastern philosophy and Theosophy, which he maintained throughout the remainder of his life. 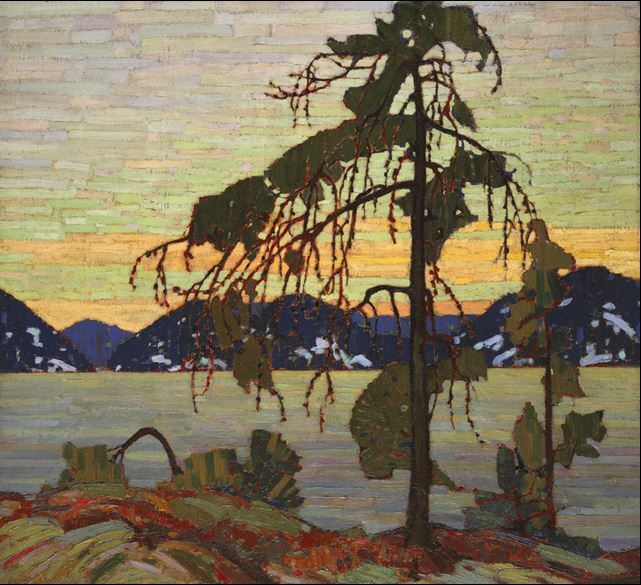 He was one of the founders of the Group of Seven which is a group of Canadian painters of formidable talent from around 1920 until the mid 1930’s , a group which deserves much more attention than I can give at the moment. 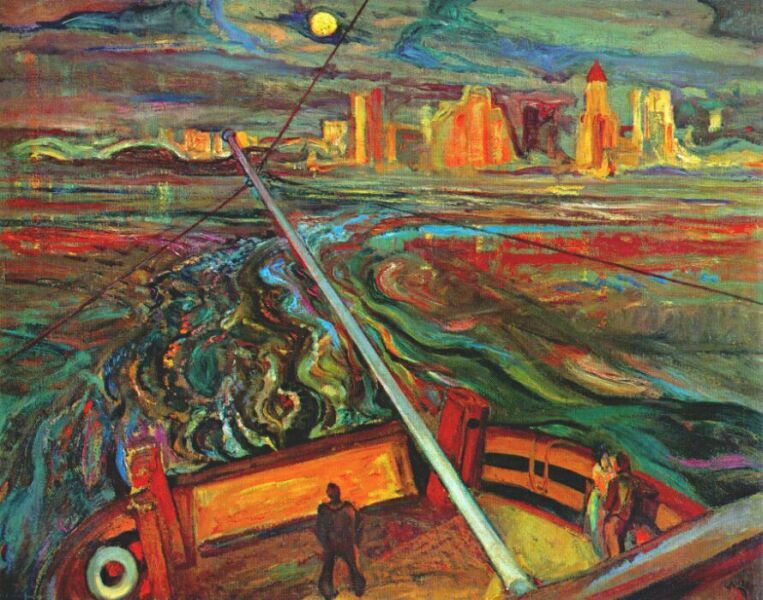 In the 40’s, Harris headed out to Vancouver where his work became more and more abstract. He died in 1970. 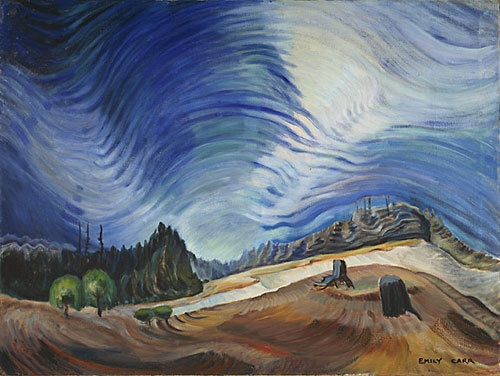 Buried on the grounds of the McMichael Art Gallery in Ontario, his work has sold for impressive sums in the years since. In 2010, the painting at the top of this post, Bylot Island, sold for 2.8 million dollars.